Construction is nearing completion at Bellmore station. The waiting room entrances have been completed, the waiting rooms are open and all interior work, including the installation of fire alarms and storefront windows, has been completed. There is a free lending library in the station waiting room, and the USB charging stations are active. 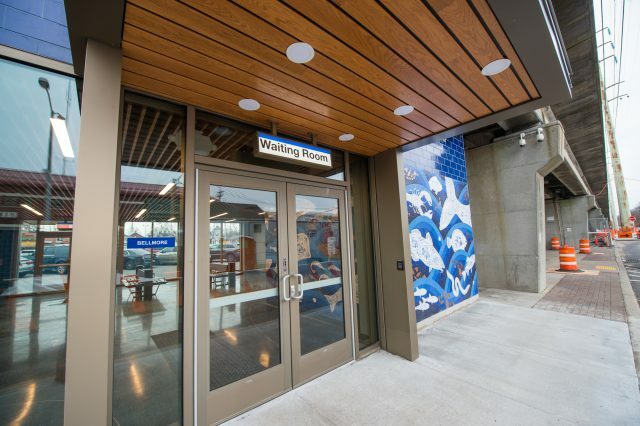 Bollard lighting is being installed in the station plaza, and the information totem at the entrance to the waiting room will be activated by March. Platform repairs are ongoing, as is the installation of LED lighting on station platforms. Blue tiling and coping stones are being added to all five platform stairwells. 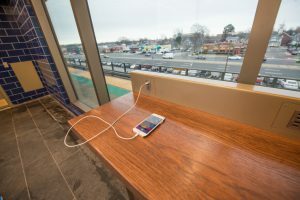 There are new benches inside the platform waiting room, which provides seating for 20, as well as technology counters and freestanding USB charging stations where passengers can charge mobile devices. 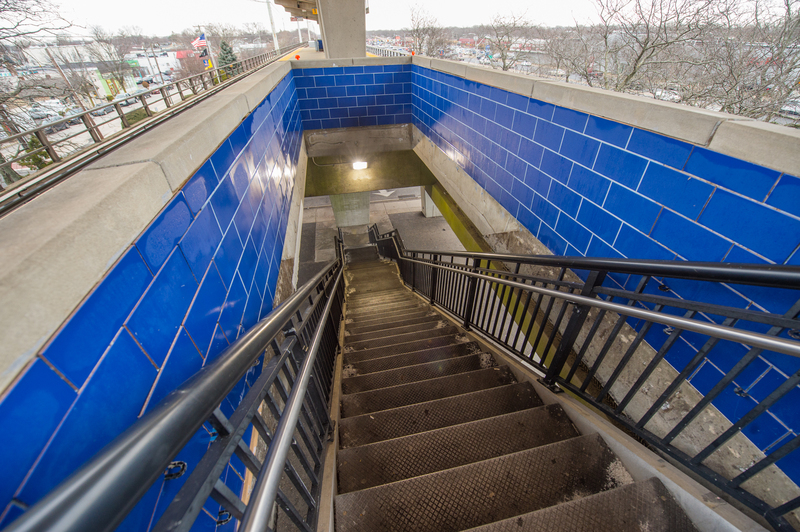 The platform will be sealed beginning in spring, once the weather improves, and the roof waterproofing membrane of the entire platform canopy will be replaced. Other remaining work includes the installation of bike racks and trash cans. Free public Wi-Fi will be soon be available throughout the station. 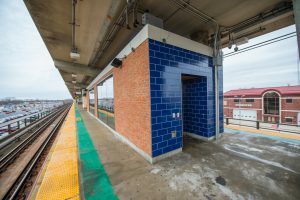 The modernization and enhancement of Bellmore Station is one of approximately 100 LIRR projects to improve customer experiences, in its stations and on its trains, and to support the growth of the economy of Long Island. 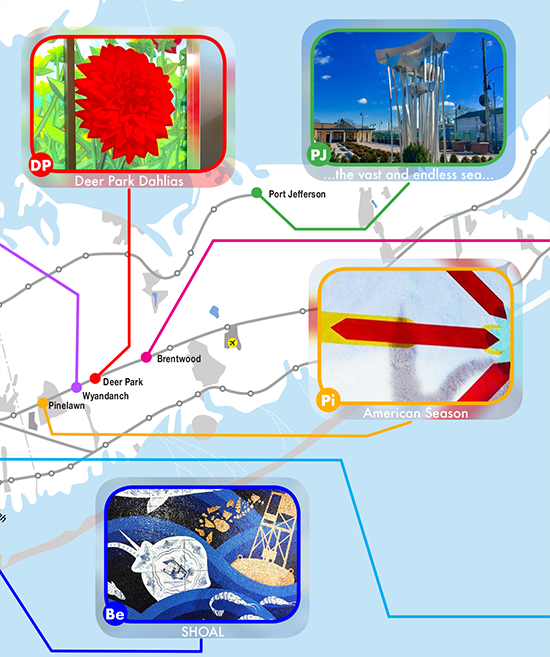 For more information, please visit the Bellmore Station Enhancement project page on AModernLI.com – http://www.amodernli.com/project/bellmore-station/.